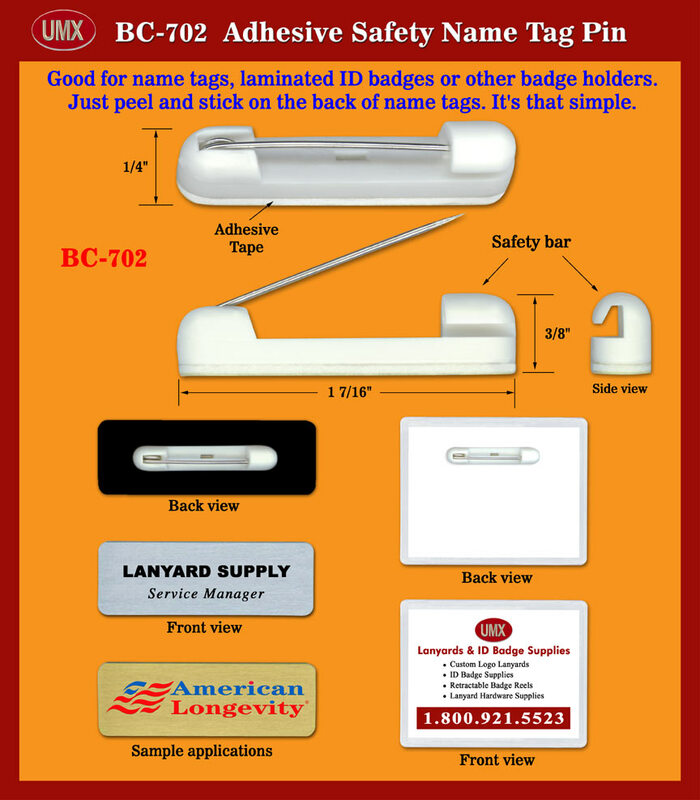 BC-702 slim size safety nametag holder pin clip come with adhesive tape on the back. It is great for smaller size of nametags, ID cards or ID holders. At the end of pin clip has a plastic round hole to cover and protect the pin from hurting your finger. The adhesive tape can be peeled and stick onto your nametag, ID card or laminated ID holder easily. The slim size adhesive name tag pin clips are 1/4" wide by 1 7/16" long. You are viewing Lanyards > Badge Clips > Compact Size Safety Name Tag Pin Clip With Adhesive Tape For Name Tag, ID Card or Name Badge.